Capoeira is an art that encompasses several arts - Fight, Dance, Art and Magic. 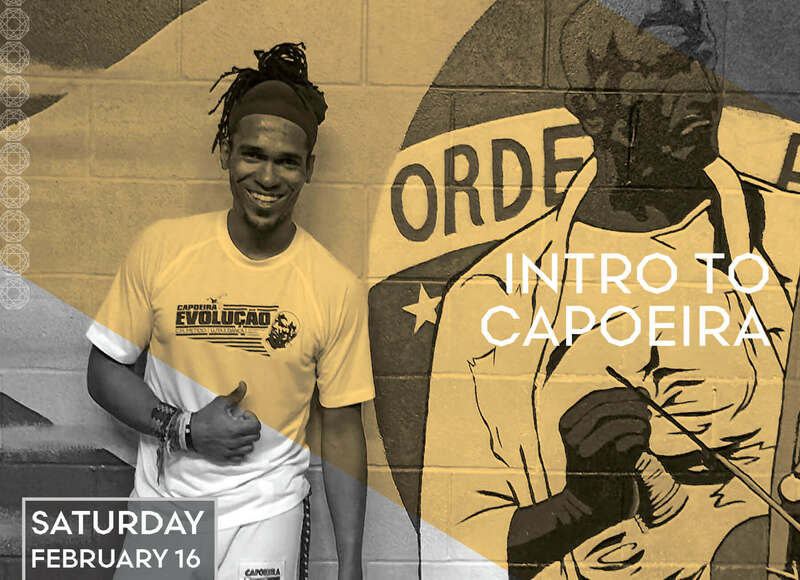 Using his creative teaching style, Felipe will take you on an introduction into the magic of Capoeira. The workshop will consist of learning movements of attacking, defending, and acrobatics, and a music lesson, all of which comprise “ The Game”. You will leave confident, sweaty, joyful, and ready to engage in the world of Capoeira. Felipe is a life-long athlete who found his true calling of Capoeira the moment he stepped into his first ginga. Felipe has been teaching adults and children fundamentals, advanced classes, and music for eight years. He infuses his teaching style with a blend of traditional Brazilian culture and history alongside modern conditioning emphasizing techniques for protecting and strengthening the body, to ensure sustainability in the sport.